The Burgundy Medieval Ball Gown is a charming medieval gown that has over 150 pearls embroidered into it. The Burgundy Medieval Ball Gown closes with laces in the back. 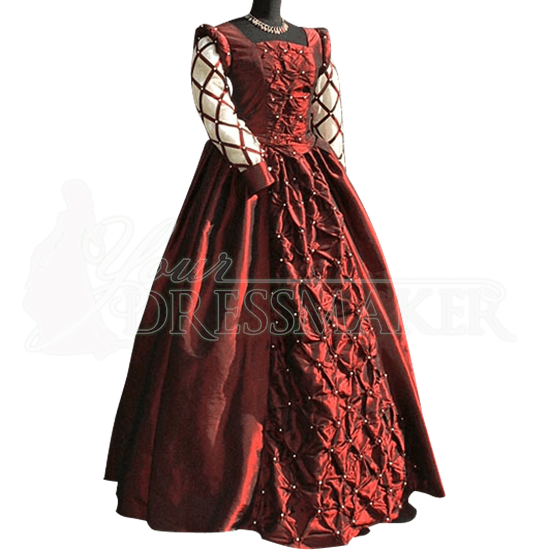 This Burgundy Medieval Ball Gown is great for Medieval Weddings, Renaissance Fairs and Medieval re-enactments. 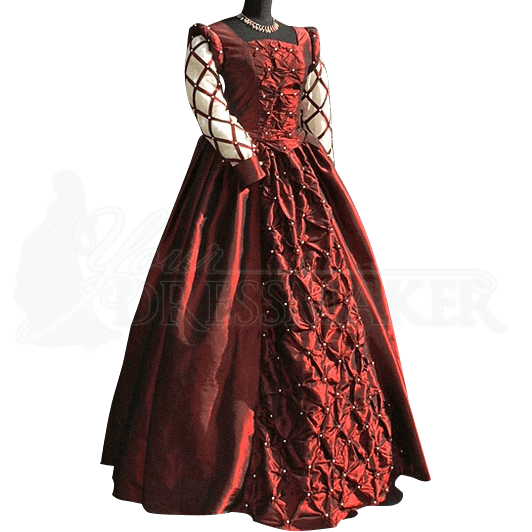 Be the star of your next fair or event with this beautiful Burgundy Medieval Ball Gown.